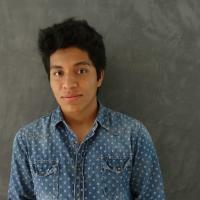 My name is Diego Alberto Hernández Covarrubias, I was born on January 08, 1996, in Mexico City, Mexico. I studied elementary school and middle school in the national center for high-performance athletes (CNAR) because I was a swimmer since 2 years of age, achieving in 2012 being national champion in different races and in 2014 traveled to Maui , Hawaii at the Junior Pan Pacific Swimming Championships, representing Mexico, obtaining good results worldwide. I studied high school at the National Institute of Fine Arts (INBA) , majoring in visual arts. Today I am studying in the faculty of architecture at the National Autonomous University of Mexico (UNAM). I am currently in the selection process to study Industrial design career in the Research Center of Industrial Design (CIDI) at UNAM. This year I managed to win the design competition "The games of the world" by Magic Production Group S.A. In Desall platform.